Villas of Kamali'i #16 is arguably the best Kamali'i Villa from a view, location and finish perspective. Located atop the project, this end unit Villa is steps to the lush pool and spa, has ample exterior parking and is well away from the road. The tradewind inviting end-unit is light, bright and airy consisting of 1,760 sqft of living space with an open floor plan upstairs, 3 bedrooms and 3 bathrooms - two of which are ensuite, an atrium office, single car garage and two lanais. 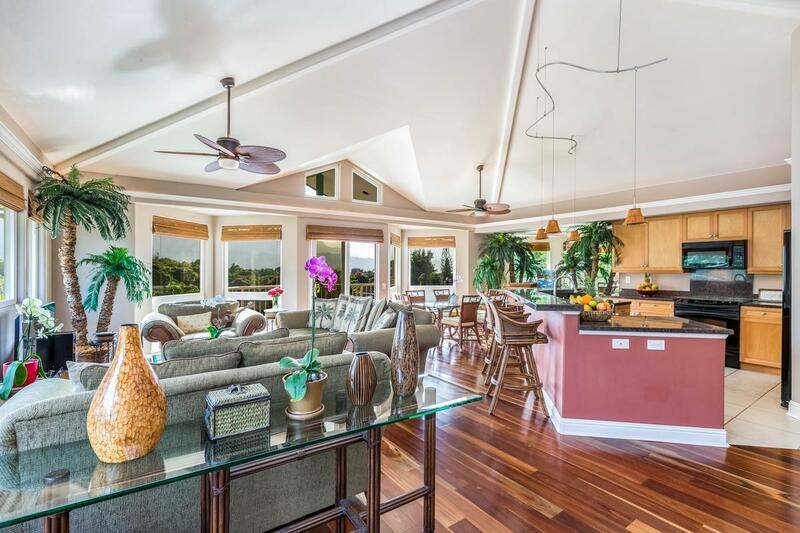 From the "Laukea" layout you'll find pretty spectacular mountain and waterfall views from the living area and lanai. 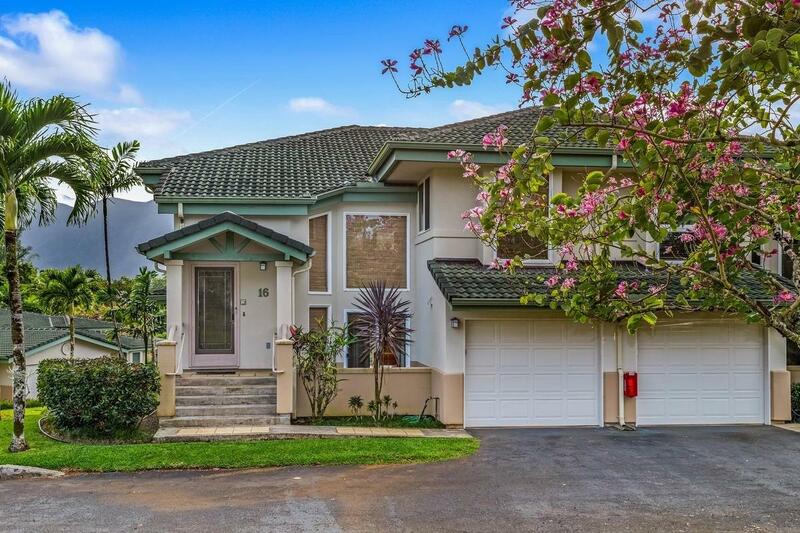 Some of the features include sweet-spotted gum wood floors upstairs and Italian designer tiles down, custom lighting, Llumar filmed windows and inclusive tropical decor and furnishings throughout. 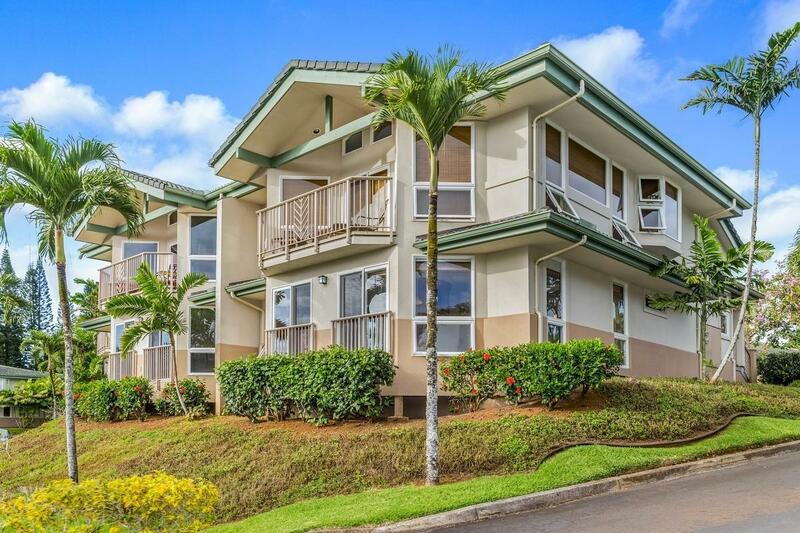 Newer updates include the washer/dryer, dishwasher, fridge and fans.The Villas of Kamali'i gated grounds are expertly manicured and looked after by an on-site manager but still enjoy some of the lowest HOA fees in Princeville. Villa 16 is steps to the heated pool & spa area. 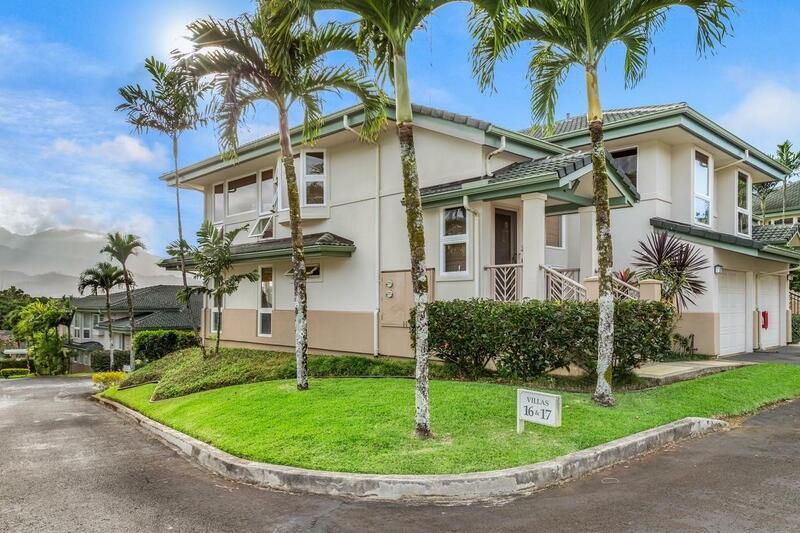 Close proximity to Hanalei Plantation Road ensures quick access to the Princeville Center and Hanalei Town. From this convenient location, you're walking distance to most of the Princeville amenities and natural attractions including the Golf Digest "Hawaii Top 10" Makai Golf Course which borders the property and where homeowners receive discounted rates.Utilized discretely as a second home and vacation rental, Villa 16 also sets up well as a low-maintenance, full-time residence where you can enjoy all that North Shore Kauai has to offer.